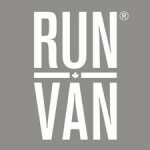 Please join us for the next RUNVAN® Race! Inspiring active lifestyles, the non-profit Vancouver International Marathon Society annually organizes the First Half, BMO Vancouver Marathon, Granville Island Turkey Trot and Fall Classic Run at UBC. Join in! Run, cheer or volunteer. For 2018 Results, click here.